The southern coast of Portugal is well worth a visit. Vacay-tioners can either fly into Lisbon and take a bus to Lagos, or fly directly into Faro in the south. One of the most famous spots on the southern coast lies at the most southwestern tip of the country called Cape St. Vincent. 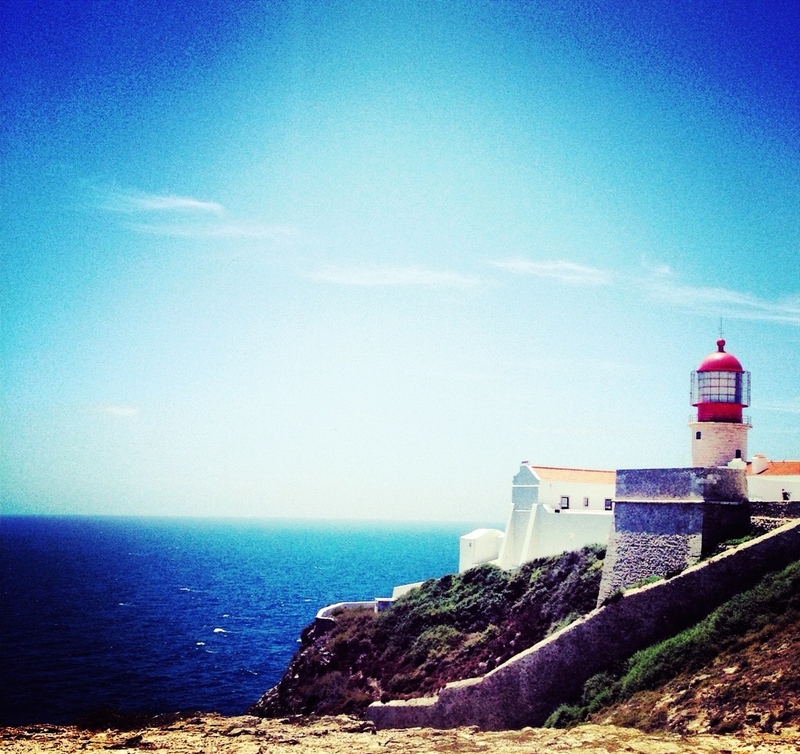 Cape St. Vincent is about 4 miles from the town of Sagres. Sagres however is very quiet so it is better to visit it while vacationing in the charming and bustling beach town of Lagos. To get to Lagos, you can either take a bus from Lisbon or fly into Faro and rent a car. In order to reach Cape St. Vincent you must take a bus to the small town of Sagres (which is also a brand of Portugese beer) and then switch to a bus going to the Cape. When it was thought that the world was flat, Cape St. Vincent was erroneously thought to be “the end of the world.” The dramatic cliffs here are nearly 75 meters above the Atlantic and the sunsets are some of the world’s best! Cape St. Vincent, Portugal- what explorers thought was the “end of the world” before knowing the world was round and not flat.